For students who apply through our Regular Decision process, admissions decisions are made on a rolling basis by the Admissions Committee when sufficient applications are complete in order to start the review process. The Admissions Committee continues to evaluate application files until late spring. Every applicant will receive a decision letter (accept, wait list, deny) within four (4) to six (6) weeks of being notified that the applicant's file is complete. A waiting list is established to fill any openings that may occur during the spring and summer. The College of Law requires each applicant to complete the regular decision application for admission in its entirety. Failure to disclose information on the College of Law application will result in the suspension of your application processing. The application must be signed electronically by the applicant. The applicant should note that the information released on the application related to character and fitness may become part of a future state bar application. An application cannot be considered complete until a Character and Fitness Form and explanation detailing any responses checked “yes” have been received (see item 7 below). A nonrefundable fee of $35 must accompany the Credential Assembly Service E-APP. As a publicly supported and leading law school nationally, the College of Law is committed to educating an academically talented and diverse group of students. To this end, we strive to keep our application fee as low as possible and among the lowest in the nation. Payment is collected by LSAC via credit card at the time you apply. The College of Law will waive the application fee for any applicant who has been awarded a need-based fee waiver for the LSAT/Credential Assembly Service by LSAC. All applicants must take the LSAT. The highest LSAT score (not an average) will be used in the admissions process. The College of Law recommends that candidates take the LSAT in June, July September/October or November/December preceding application to law school. February test scores will also be considered pending that the remainder of the application is complete prior to the priority application deadline of March 15. Applicants are strongly encouraged to retake the LSAT if the initial score is significantly below the college's published LSAT median. Starting June 1, 2018, potential LSAT takers can access Khan Academy Official LSAT Prep to create a personalized LSAT practice plan with official LSAT exams. And best of all, it’s 100% free! The aim of Khan Academy Official LSAT Prep is to help students build the skills and confidence to succeed on test day—all on their own schedule. The program will diagnose a student’s strengths and weaknesses to create a tailored LSAT practice plan. Students learn in real time with exclusive interactive lessons, videos, practice questions, and timed tests. They can track their progress toward their goal on the schedule they set. Two letters of recommendation are required and must be submitted through LSAC. A good reference choice is a college professor who has first-hand knowledge of the applicant's scholastic abilities and work habits and is, therefore, able to write a meaningful recommendation. Applicants who have been out of college for several years or who find it difficult to reach professors can obtain references from employers, supervisors or attorneys who are familiar with the applicant's qualifications for law study. Candidate evaluations are not required as part of the application, but applicants may submit them with their application. Applicants for admission are required to register for the Credential Assembly Service. The applicant is responsible for sending official transcripts to LSAC for each undergraduate or graduate college or university attended. At least two letters of recommendation should also be submitted this way as well. The Credential Assembly Service will analyze the applicant's transcripts, copy your letters of recommendation and send a Credential Assembly Service Law School Report to the College of Law. To be considered for admission, a candidate must have a bachelor's degree from an accredited college or university by the date of anticipated enrollment. A notice of acceptance may be issued before the undergraduate degree has been obtained, but such acceptance is conditional upon the applicant's receipt of the degree. A well-written personal statement is the most effective means of communication with the Admissions Committee. Applicants may use the personal statement to provide insight into the general background and motivation the applicant can bring to the College of Law. The personal statement also serves as a sample of the applicant's writing ability. The University of Cincinnati College of Law has many unique programs and attributes. 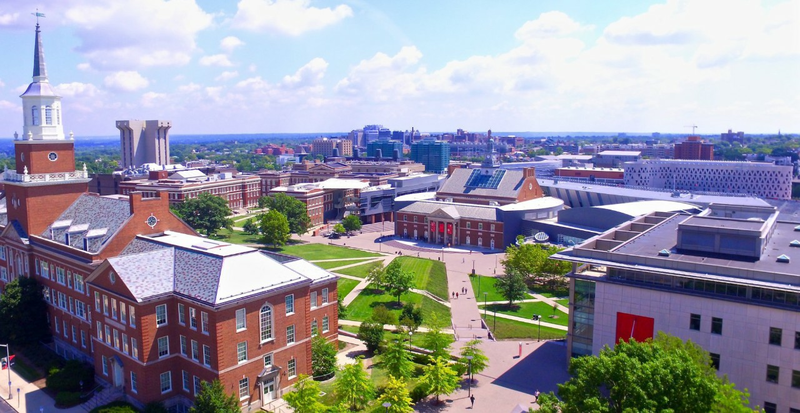 Given there are many law schools throughout the country, please discuss why you want to attend law school and, more specifically, why you have applied to the University of Cincinnati College of Law. The Admissions Committee will have your LSAT score, academic transcripts, and résumé to review during the admission process. However, the committee recognizes that students can bring other intellectual and academic contributions to the College of Law community. Please discuss any topic that is of interest to you or has stimulated your intellect. Examples might include the discussion of an issue of local, national, or international concern and its importance to you; a person who has had significant influence on you; or a character in fiction, a historical figure or a creative work that has impacted you. Given your personal background, please discuss how you would add to the diversity of the community at the College of Law. Discuss a topic of your choice. In addition to a bar examination, there are character, fitness, and other qualifications for admission to the bar in every U.S. jurisdiction. Applicants are encouraged to determine the requirements for any jurisdiction in which they intend to seek admission by contacting the jurisdiction. Addresses for all relevant agencies are available through the National Conference of Bar Examiners: www.ncbex.org. A current résumé is strongly recommended but not required. The University of Cincinnati College of Law requires international transcripts be submitted through the LSAC Credential Assembly Service. If applicants completed any postsecondary work outside the US (including its territories) or Canada, they must use this service for the evaluation of international transcripts. The one exception to this requirement is if applicants completed the international work through a study-abroad, consortium or exchange program sponsored by a US or Canadian institution, and the work is clearly indicated as such on the home campus transcript. This service is included in the Credential Assembly Service registration fee. An International Credential Evaluation will be completed by the American Association of Collegiate Registrars and Admissions Officers (AACRAO), which will be incorporated into the applicant's Credential Assembly Service report. To use the Credential Assembly Service, log in to your online account and follow the instructions for registering for the service. Be sure to print out a Transcript Request Form for each institution and send it promptly to them. More time is usually required to receive international transcripts. Questions about the Credential Assembly Service can be directed to LSAC at 215.968.1001 or to LSACinfo@LSAC.org. All applicants, whose first language is not English, are required to take the TOEFL and must contact the Educational Testing Service (ETS) and request that their TOEFL score be sent to LSAC or to the College of Law directly. LSAC’s TOEFL code for the Credential Assembly Service is 0058. The applicant’s score will be included in the International Credential Evaluation document that will be included in the Credential Assembly Service Law School Report. If admitted, any degree earned outside of the United States must have its transcript evaluated by World Education Services, Inc. Visit www.wes.org/students to initiate a transcript evaluation report which must be sent from WES to the College of Law at the above address by July 1, 2017. Candidates must have WES send both a degree equivalency analysis and a course-by-course analysis. If you have ever enrolled in any law school you are required to attach an electronic document indicating what school, when you attended, and your reasons for leaving. In addition, a letter of good standing and a transcript from the law school must be included with your application. The Admission Requirements outlines the supporting materials needed to complete your application. In order to allow the Admissions Office adequate time to process and review all applications, candidates are urged to apply as early as possible. If you have any questions, please feel free to contact the Office of Admissions at admissions@law.uc.eduor at (513) 556-0078. The College of Law is offering a program of study on the US legal system to foreign-trained practicing attorneys and law school graduates. The LLM program is a one-year program which provides a substantive introduction into the US legal process, while allowing students to tailor their studies to particular areas of law. At Cincinnati Law, we believe that greatness lies beyond the classroom. Our students gain real-world experience through our renowned centers, high-impact clinics, guaranteed externships, and sought-after fellowship opportunities – some that even begin in the first year of the JD program. You'll find an environment that is welcoming and an academic curriculum that is rigourous and thought-provoking. Top-flight faculty will serve as your mentors in small classes comparable to that of a small private school, and your classmates will become learning companions and life-long friends. Cincinnat Law students are going places. Apply today and discover where Cincinnati Law can take you.